The intricate webs that spiders weave to trap insects, and eat, are one of the most astounding marvels of nature. The presence of cobwebs is also an indication that you haven’t been keeping your home as clean as it should be. 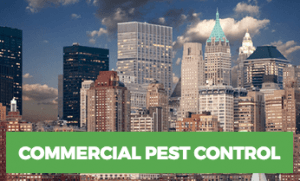 More importantly, the presence of spiders in New York points to the presence of other insects and pests in your home. Spiders basically spin their webs all over the place to trap insects for food. Apart from the distasteful sight of trapped insects hanging all over the place, the silken threaded structures also lend a shabby look to your home – making it a distinct turn-off for you and guests alike. Let’s see how to eradicate and control spider infestations by applying appropriate non-chemical or chemical treatments. 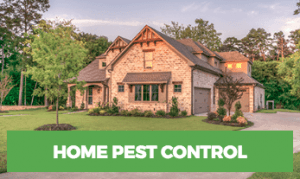 Since spiders prey on other insects and pests, the best way to control the presence of spiders on your premises is to control the presence of other insects and pests that the spiders feed upon. You can drastically cut down the spider menace by controlling the entry of insects they feed upon. One way to accomplish this is by using halogen or high-pressure sodium vapor lights in the garden instead of the mercury vapor lights that attract insects in large numbers. Stack the wooden logs and firewood as far as possible from your living quarters. Regularly rake the fallen leaves and other organic debris from the yard. Trees and shrubs adjoining the home should be trimmed regularly. Next, check the structure of your home thoroughly for cracks and gaps, with a special focus on the doors, windows, and building foundations. Caulk or seal the crevices, if any. Similarly, make sure that the doors and windows are a proper fit for their respective frames. Door and window nettings should be free of holes and tears too. If you find spiders nesting on the exteriors of your home, you can use a long-handled broom to clear them away. If this is not sufficient, spraying water under high-pressure will prove effective. You could also try sucking away the spiders away with the help of an industrial grade vacuum cleaner. For indoor areas, frequent cleaning in the form of weekly cleaning routines that involve vigorous sweeping and vacuuming of closets, basements, and corners discourage spiders and help keep them far away. By using pesticide sprays and dust, you can target the spiders, and prevent them from spinning cobwebs. By spraying pesticides into places like cracks and sidings, where spiders usually hide, you can temporarily halt the spiders from spinning cobwebs. Use only those pesticides that are specifically manufactured for spider control purposes, and are clearly labeled so. Carefully follow the instructions on the pesticide packaging. However, to eliminate spiders totally, Pyrethrin spray or pyrethroid space sprays are found to be most effective. These sprays act best only when they come in direct contact, so make sure to apply the spray so that it comes in contact with as many spiders and cobwebs as possible. Repeat the space spray once in four weeks to coincide with spider egg hatching cycle. Spider eggs are a major factor that contributes to the problem. Therefore make sure to eliminate the egg sacs and hatchings as well while targeting the spiders. Contact Rest Easy for Top Quality Spider Control! Fortunately for us, most of the about 43,000 spider species are harmless. 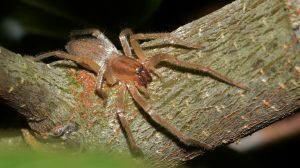 But there are a few species like the black widow, brown widow, and the hobo spider whose bite can be quite unpleasant and in some cases, dangerous. If you are bitten there are some home remedies you can apply, but in severe cases you should always receive medical attention.